A database is a collection of electronic records that lead you to the various sources you may wish to use. 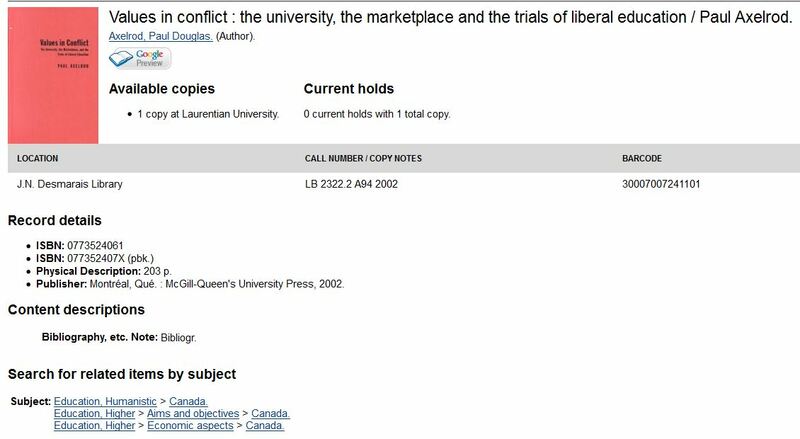 The Catalogue is one example and it will lead you to books available in the library; Proquest's Dissertations and Theses will lead you to those sources. The library has a huge number of other access tools you can use. Some are subject specific, and the library's individual subject guides will point you towards the best ones to use; others are multidisciplinary, and of these probably the best is Academic One File. You get a sufficient number of relevant hits to allow you to proceed with your research. Maybe you want 4 references and you get that number straight away. You don't get enough relevant hits. You get 4 but you need 15. You get too many irrelevant hits: think Google searching. You get 800 and you need 15. We are now going to explore strategies to get more relevant hits. (The pane to the right gives you advice on how to reduce your results if you get too many). Truncation allows you to do: Search for variations of a word using a code or symbol. Truncation is used to replace the last characters of a word. Depending on the database, the truncation symbol will vary (example: $,*,?,!). Consult the database’s help file to learn which symbol you should use. In this example, value, values, valuable be picked up. Caution: Don't truncate too early. If you typed in val* you would also pick up Val, valerie, etc...not what you want. Truncation can also be used to replace letters within a term. This is useful when the spelling of a search term proves to be problematic. Exercise: Try this yourself. Go into Academic One File and type in the word value. (If you are off-campus, you must first sign in with your university username and password.) Make note of the number of results; then redo the research and type: valu*. Why do you think there are more? When you started your research, we suggested you think about synonymous or related terms. In the example "Is University education worth it?" a synonym for worth could be "value" or "valuable". Instead of searching each concept separately, which coud lead to all sorts of combinations, the Boolean OR in parentheses allows you to group related concepts together--and the end result is more hits. Exercise: Try this yourself. Go into Academic One File and type in the the following search: (valu* OR worth) (If you are off-campus, you must first sign in with your university username and password.) Make note of the number of results and compare this to the reumber you got earlier when you just typed in valu* Why do you think you got more? Normally it is a good idea to get as many hits as you can before trying to reduce the number. As there are two good strategies to expand the number of hits, so are there two good strategies to reduce that number. When you separate one set of terms from another using the word AND, you force the database to retrieve records that contan both terms. Here is an example of a record that contains the concepts of University education" and "value." Can you identify the field(s) in which these concepts appear? Strategy II to Reduce the Number of Hits: Restrict Your Search to a Specific Field-- preferably, Subject but often Title. Have you noticed that databases are set up to search ALL Fields at the start. Check out the Catalogue and you will see that by default, you search Keyword. Then take a look at Academic One File, and you will see that you also search all fields, unless you decide to select one. One of the most powerful ways of reducing a large number of search results to the most relevant is to start restricting your search to specific field. Many experienced students restrict their search to title in the first pass, since titles usually reflect the topic being searched. Librarians may do this--but they will then check out the Subject Headings (or Descriptors) for ones which best match the topic. These subject headings do not get slapped into the record without thought. In fact for each databse there is a standard list of such headings and database owners apply the appropriate subject heading to all records matching that subject regardless of whether the rest of the record contains those terms. In the preceding example, who would have thought to search "Higher Education--Return on Investment" if one were interested in the value of university education. This feature of databases CANNOT be matched by any internet search engine and it is the reason that good students always do their searching in library databases--think of the time saved.